John Ranney, owner of Tucson’s European Auto Tech, has a life long history of passion for excellence in the automotive service repair industry. In 1968, wanting a challenging direction, he joined the Navy during the Vietnam War, serving for 4 years. With his insatiable appetite for knowledge, he went through rigorous military and technical training to become an aviation electrician, graduating in the top of his class. By 19 he was in charge of his squadron’s electrician shop and was honorably discharged at 22. In 1973 he honed his electrical skills as an aviation electrician focusing on a future in the automobile industry. John started out at a major east coast dealership bringing with him his strong electrical background and learned discipline. He quickly excelled in all aspects of this field. The dealers saw enormous promise in his abilities and so provided him with years of targeted training in all aspects of automotive systems, coinciding with his employment. He soon became a Master ASE, L1 certified tech. John moved on to become shop Forman at one of the largest dealerships in the New York Metropolitan area. From there, in 1987, he opened his first thriving repair facility in central New Jersey. During his years at the dealers, John observed the frequent and frustrating miscommunication between their customers, service writers, and technicians. At European Auto Tech, you can always speak DIRECTLY to John. After 22 years of successfully operating European Auto Tech, his well equipped facility has evolved to the standard of dealer level excellence you see on 1st Avenue today. 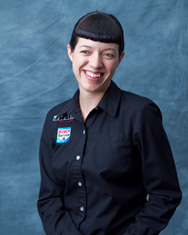 Dana Whalen-Allen, Service Advisor, has been in the automotive industry for over 16 years. She has attended numerous automotive management classes. Dana is ASE certified as well as AMI certified. She has opened and managed an independent Toyota repair facility for over 7 years. It has always been her passion to work with European cars. 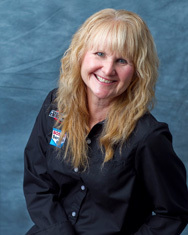 Dana has been the service manager at European Auto Tech for over 7 years. When you call us, it is her friendly voice you’ll be hearing on the other end. After graduating from Neshaminy High School in Langhorne, Pennsylvania in 1978, I moved to Pomona, New Jersey to attend Stockton State College in pursuit of a business degree. After college, my career took off as a Customer Service Representative in the sales department of a company within the Chemical Industry. In 1994, my division within the company closed its doors after a substantial merger. By this point I was 7 months pregnant so my husband Mark and I decided to utilize my skills within his business in Ford’s New Jersey called Precision Auto Tech. Working with Mark at Precision Auto Tech, I obtained a great deal of knowledge on the European Auto Repair Industry. This growth and development mixed with my previous skills and assets allowed me to take on several roles within our shop; including the Administrator, Human Resources Supervisor, Service Advisor, Accountant, Customer Service Representative, and Part’s Runner. All the while I was raising two young daughters within the walls of our business. In August of 2005, John persuaded Mark and me to come and check out what Tucson had to offer. We liked was we saw and were looking for a change. So after my 12 year journey at Precision Auto Tech, we decided to close the doors and take our chances in Arizona. While Mark was busy laying his foundation at European Auto Tech, I tested out various Customer Service jobs that never quite met my liking. 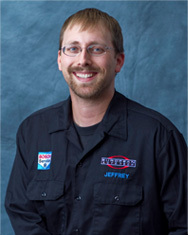 In October of 2010, John offered me the opportunity to join the team at European Auto Tech as a Service Advisor. Mark’s Grandfather, Joseph Herbert, built the “Herbert’s Garage” repair shop in Fords NJ around 1910. Though he passed away in 1942, he had already laid the framework for a family tradition of excellence in automotive repair. Matthew Herbert, Mark’s father, took over Herbert’s Garage at the age of 16, where he worked until his passing in 1969. Mark’s mother then kept the shop — leasing it out to another auto repair business — with the hope that some day one of her sons would reopen Herbert’s Garage and continue the family tradition. As a young boy, Mark could almost always be found in his backyard garage, working on bicycles, mini bikes and just about anything he could get his hands on. At the age of 14, Mark was excited to start working in the shop as a clean up boy for his mom’s tenant. The shop at the time was called “The Little Car Shop” and specialized in foreign cars. Shortly after he started, he was promoted to “mechanic’s helper,” allowing him to closely study the resident mechanics at work. After a short time, Mark was working full time on the cars and completing entire jobs by himself. 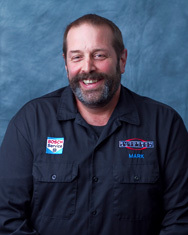 At the age of 17, having recognized Mark’s true potential, his boss put him in charge of shop operations. In the many years he worked at “the Little Car Shop,” Mark not only gained vast amounts of technical knowledge in automobile repair, but also earned a reputation of being trustworthy and reliable — a reputation Mark proudly maintains today. In the spring of 1979, “The Little Car Shop” was sold and Mark felt the atmosphere of the shop had changed — it was time to think about moving on to bigger and better things. Mark interviewed for a an opening at a Porsche-Audi dealer and was hired. That was where he met John Ranney. Mark worked for a number of years at that Porsche-Audi dealer until it was sold. He then started to work for one of the largest Mercedes dealers on the East coast, working for the Porsche division where he gained significant technical experience working on high-end vehicles. 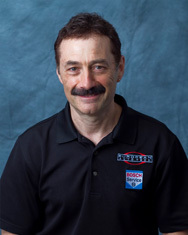 In 1989, much to the pleasure of his mother, Mark proudly opened his own shop, “Precision Auto Tech,” in the same building his Grandfather built. Mark built Precision Auto Tech into a successful business, founded on the same principles of honesty and quality that his father and grandfather had lived by. Precision Auto Tech not only earned a reputation of quality among its clientele, but it was also known as the go-to shop for other repair garages who had particularly challenging repair jobs that they couldn’t figure out themselves. In August 2005, Mark took a family vacation to Tucson that would change his life. After meeting with John Ranney, owner of European Auto Tech, the two realized they shared the same values and perspective with regard to automotive repair and customer service. Mark gladly accepted a position at European Auto Tech. Mark closed his business and made the move to Arizona. It was a big change for his family and him, but they moved with great excitement for what the future holds. 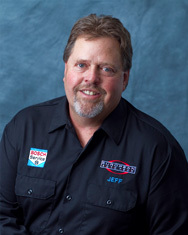 My name Is Jeff Hustin and I have Lived in Southern Arizona all my life. My personal VW hobbies are racing my 1964 Unlimited Baja Racer. I have entered more than 50 desert races in it. Won countless trophies and 2 class championships. I Built it, do all repairs and prep on it and do all the driving. Our races last 3 to 5 hours long and I have a 80% finish rate. Currently it sports a fuel injected NEW BEETLE motor. In 1984 I applied at The local Volkswagen dealership. I was Hired in less than 1 week. There I focused on the VW car line. At that time the king of the car line was the Rabbit. Those were the good old days — when you knew the cars forward and backwards. The cars were simple and all the cars in the line up were very similar. I went to all the training courses the factory offered. When the dealership hit on hard times the franchise sold to several new owners and I went along with it. I started working at the Beaudry Volkswagen dealership in 1987. The new king of the VW line up was now the Jetta. We saw new models come and go; Dasher,Quantum, Fox, Corrado. The Jetta still out lived all of them. In 1990 I switched it up by transferring to the Audi workshop, and It worked out great. I loved working on VWs sister car line just as much. I worked there on the New car line up, Audi 80, Audi/90 the 100/200 The A6, A4, A8. After 5 years there, things started turning stale with the dealership — there was no interaction with the customer and due to poor management and un concerned staff, I felt little pride in my work anymore. I got started in the business of learning how to fix cars right out of High school. Lucky for me my Uncle had his own shop and I was fortunate enough to work under him within the family business. I was taught the difference between the right way and the wrong way to do things at Highline Automotive, in South Brunswick NJ. We worked on all makes of cars, but mostly Jaguars and Land Rovers. The transition from Highline to Mark Herbert’s shop, Precision Auto Tech, in Fords NJ was easy. Working for Mark over two years, I felt very fortunate to work beside a true European Master Tech. Mark fast tracked my training and familiarized me with the basics to the more advanced repair procedures that we use day to day at European Auto Tech. Mark was then at the point of winding down his business for the move to European Auto Tech in Tucson. Before I could follow, I would need to see the shop and the area in Tucson to make that move as well.I stayed in touch with Mark after he moved to Tucson and visited in February of 2008. I was eager to see the shop right away. John and I talked for quite awhile about similar interests and goals and I liked what I saw in both the shop and this new desert area. John asked when I could start to work there. It took me 11 months to finally get in a comfortable position move to Tucson. Mark was at the point of winding down his business for the move to European Auto Tech in Tucson. I needed to see the shop and the area in Tucson before I could follow and make that move. At European Auto Tech, I have found my home and plan on spending many good years here. Furthering my education on cars, and fixing everything that I can. Being in Tucson has also made it easier for me to ride my quads. There’s desert all around, and there not frowned upon here, like in NJ. I currently have 2 quads, both being Yamahas. I enjoy working on them and making them faster. Nothing like the trill of wide open throttle! European Auto Tech’s newest and youngest technician, is an Arizona native who is proud to call Tucson home and represent European Auto Tech. Zach first became interested in the automotive industry through his grandfather, who worked on fire trucks for the Phoenix Fire Department for over thirty years. It was his grandfather’s uncanny handiness to fix anything, whether around the house or on vehicles, that sparked Zach’s interest to become just as handy. Zach first started honing his skills by taking automotive classes at his local high school in Lake Havasu City. When he was 15 he was hired to build custom fiberglass 28 Model-A Fords at a local street rod shop. With his vast creativity and stringent work ethics, he was promoted to head fabricator where he built a one of a kind Model-A Pickup at the young age of 17. 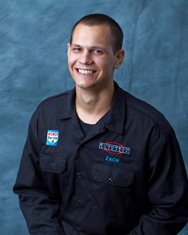 After graduating high school in 2008, Zach continued to pursue his dreams of becoming a repair technician by moving to Phoenix and attending Universal Technical Institute. Through an accelerated curriculum, Zach quickly received an Associate’s Degree in Diesel and Industrial Technologies in 2009. He was recognized as one of the top of his class receiving a cumulative 4.0 GPA.Upon graduation Zach found the Auto Repair Industry far different than he had expected. He was hired at a repair facility where he changed oil and installed tires. Unable to build on the training and skills he had received at UTI, he began looking for a company that would demand such things. In June 2010 Zach was hired at European Auto Tech. Under the watchful eye of John and Mark, Zach has proven himself as the future generation of this industry. 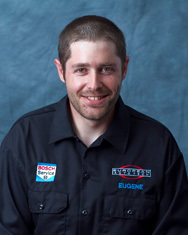 Zach is vigorously pursuing the attainment of ASE Master Technician and up to date training. At European Auto Tech he takes pride in his work by properly repairing European vehicles and providing honest and superior work to the customers. Zach is proud to be a part of the European Auto Tech family and constantly strives to maintain European Auto Tech’s position as the premier independent European repair facility of Southern Arizona. I was born and raised in Tucson AZ. While growing up I had a handful of wonderful teachers such as my brother, my Uncle Tim and my Grandfather Leonard – all individuals with great mechanical ability’s. When I started to drive, my grandfather would show my brother and I how to fix our cars to keep them running. My grandfather is a man with many talents and I learned a lot from him. It was the start to me figuring out what I wanted to do when I grew up. I started working at European Auto Tech in May of 2009. my first position was as the shuttle driver and shop helper. I figured it would be a good way to get to where I wanted to be as an automotive technician. I am also attending classes at Pima Community College. After all of my hard work and studying, I am now the newest Volkswagen/Audi technician at European Auto Tech. I am still attending classes to gain greater automotive repair knowledge and theory. And with the knowledge and guidance of all the experienced technicians working here, the factory level training and dealer level tooling available in this shop; I feel this is the best place to achieve my goal of becoming a Master ASE Tech. In my free time I enjoy spending time with wife and kids. We enjoy going to the movies and camping. I enjoy being part of the European Auto Tech team and take great pride in the work I do. …The service at European Auto Tech is excellent – both friendly and professional. (And yes, as someone else mentioned in an earlier review, the service manager is indeed cute). This is the best repair shop I’ve been to. John is a Westy enthusiast himself and has tricked out his van with a Subaru engine and Porsche transmission. Never before had I seen a Westy perform like a race car! Will definitely be back! Best and most honest service that I have received when it comes to cars! I would not take my BMW anywhere else to get serviced, but to European Auto Tech! It’s never fun to take your car in to the mechanic, but everyone at European Auto Tech is wonderful. They are fair, honest, even showed us the broken parts on our car and have always treated us well and with respect. As long as I have my car, they will always be the people I will take it to. Highly recommended! European Auto Tech proudly offers service and repair of the following makes of German automobiles. Contact us by phone or via one of the contact methods below. We look forward to speaking with you!